The lights in much of Toronto went out last Sunday morning; we spent one night in the dark and actually it was quite fun, playing cards by candlelight and getting under 12 layers of duvets and blankets. I was able to go to my son’s apartment a block south of us and work on Monday morning; I came home around noon to drain the plumbing and radiators and found that we had power back. So much for that. For my 82 year old mother-in-law it was not so much fun. Just rescued frozen mother in law and curse Rob Ford for calling this an “inconvenience.” This is a disaster. why did you leave her until she was almost frozen? Should have gotten her sooner. What is wrong with you??? No Chris Stockwell, I am not kidding you. There are people out there freezing, people who have died of carbon monoxide poisoning, my daughter still isn’t back into her apartment and we have lost 20% of our tree canopy. 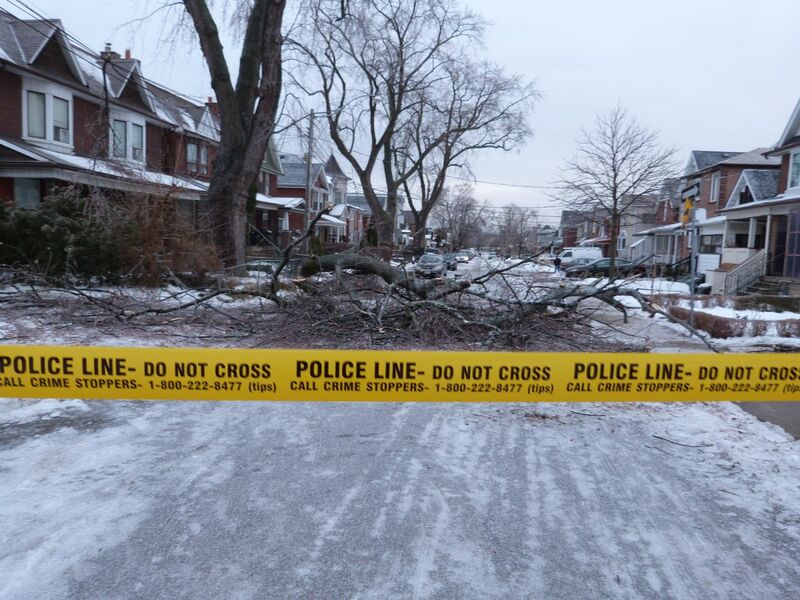 Much of the disaster can be blamed at the feet of people like you who had the chance to bury wiring 15 years ago when the city upgraded the whole system, but didn’t want to pay the price; or those who cut the tree pruning budget last year to save money. You can’t build a resilient city on the cheap. You can’t play politics with people’s lives. We all deserve better than this. December 29, 2013 in Live. ← So what’s Mossberg starting?